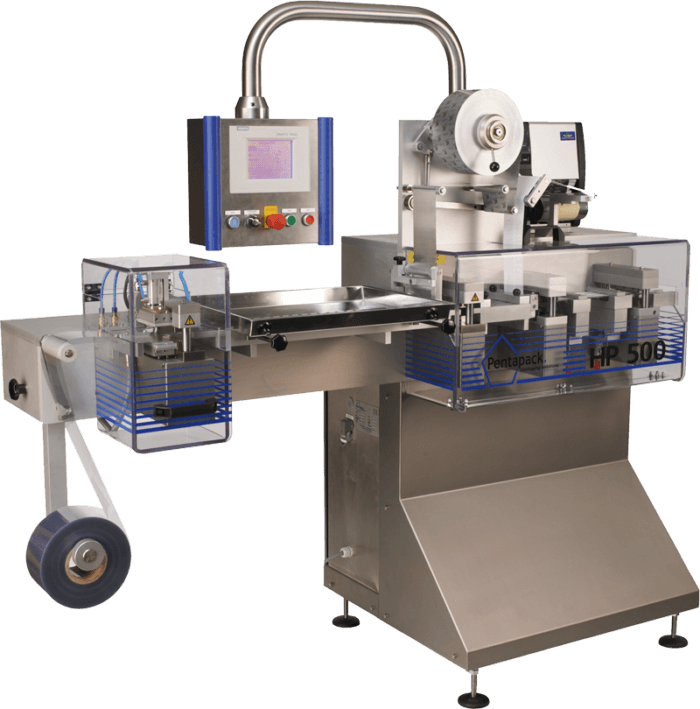 The HP500 and HP550 bulk unit dose packagers are capable of overwrapping and bar coding oral solids, liquids, suppositories, ampoules and syringes. Producing anywhere between 20 to 160 doses per minute, the HP500 or HP550 produce individual unit dose packages perfect for placement in decentralized automated dispensing cabinets. The Pentapack also places individual barcodes on each package ensuring BCMA guidelines are met. Consumable products used in conjunction with the HP500 / HP550 to form and seal blisters are of pharmaceutical grade and available in various materials, pigments, moisture barriers and thickness to meet the demanding needs of today’s Healthcare facilities.